← What is a watch? 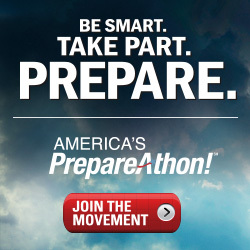 Pre-planning is one of the most important aspects of an emergency response. Without pre-planning you have no organized structure to underpin your response. An unfolding emergency is not the time to gather your thoughts on what you need to do. Pre-planning helps to prevent forgetting all the myriad steps in your emergency response plans. Pre-planning is the guide that captures the practiced coordination and the gear you should have assembled to be ready with your response. But pre-planning is not just the guide you will rely on for a local or non-local emergency. This guide will also provide the response you have in place for your own home. You cannot worry about the safety of your own loved ones and your home while you are trying to respond to an emergency that is affecting others and is outside your own immediate environment. You need to make sure that your family and your home are prepared ahead of time to be able to handle the serious problems that a wide-spread emergency can present. A communications contact plan for all members of your family. Each member should know who is supposed to contact them, and they in turn should be given a designated member for them to contact. This should be your own personal COOP Plan. An evacuation location or designated place for all of your family members to meet as soon as it is safe for them to do so. Enough food, water, daily medications, and first-aid items to live comfortably for 3 to 7 days. A list of items you would need if your family is evacuated, especially for an indefinite time. Check for additional resources that are available at ready.gov. Training is the second most important aspect of pre-planning. Once you have a plan in place, you need to train to that plan. The training phase is the time to find out where problems may arise. Responding to an actual emergency is NOT the time to find out where mistakes will emerge from your plan. Training should also include communications with pre-identified agencies who are the first-line responders and coordinators of any variety of emergency. And this is also where you want to make sure that your ham radio contribution is truly ready to assist when needed. Do you have a checklist for you individual radio, accessories, and personal items you would need in responding to any kind of emergency. The least amount of time you should plan for is 24 hours. The most amount of time could be days or weeks or more. Do you have an adequate stand-alone power source that will keep you up and running for a long time? What radios would you bring? How will you transport them? Make sure you have a contingency plan for antennas. Make sure you have a variety of antenna connectors – odd and not – just so you can get your messages out. If you don’t have a compatible connection to the antennas on site of the disaster, you won’t be able to work those critical emergency communications. You might as well be a dead cell phone. On the human side, do you have adequate food and water and daily medications? What will you sleep on and what will you use for toiletries? Sanitation and personal grooming items are important in keeping you clean and healthy and on the job. Do you have first-aid items that will last, particularly if you have to share them? An extra pair of glasses? Think of responding to an emergency with your radio the same way you would supply yourself and your rig for a deep-woods camping trip. Don’t pack only for the radio. You need to pack for yourself or you might end up being a casualty yourself. Make that list and check it twice. And don’t depend on the agencies working the emergency to provide personal comfort and food and water. They’ll need their supplies for the victims of the disaster. Be ready, be organized, be well-trained, and be the emergency support communications that amateur radio operators practice to be. Think about what you would do and how you would operate in a flood and landslide. How would you operate in a sizable earthquake? How about a nuclear accident? How about a hurricane or tornado? In your lifetime, you would probably never be called on to operate a radio station in most of these disasters. But to be on the best side of pre-planning, you would still want to prepare for that one time when you would be called up. Being ready for anything is the foundation for the existence of amateur radio. whether you’ll be using the ICS 205 form. Prepare yourself, your family, your home, and your property. Only then can you go and be truly helpful to someone else who has lost all those things and more. This entry was posted in Training and tagged pre-planning. Bookmark the permalink.